Trump's odd reversal about Americans losing jobs at China’s expense is likely a negotiating ploy ahead of important trade talks this week, experts say. A tweet from President Donald Trump railing against the loss of manufacturing jobs is hardly remarkable, but the president turned heads on Sunday when he tweeted about the loss of jobs in China. Experts in international trade and technology interpreted this odd reversal from the president’s usual pronouncements about Americans losing jobs at China’s expense as a negotiating ploy ahead of important trade talks this week. 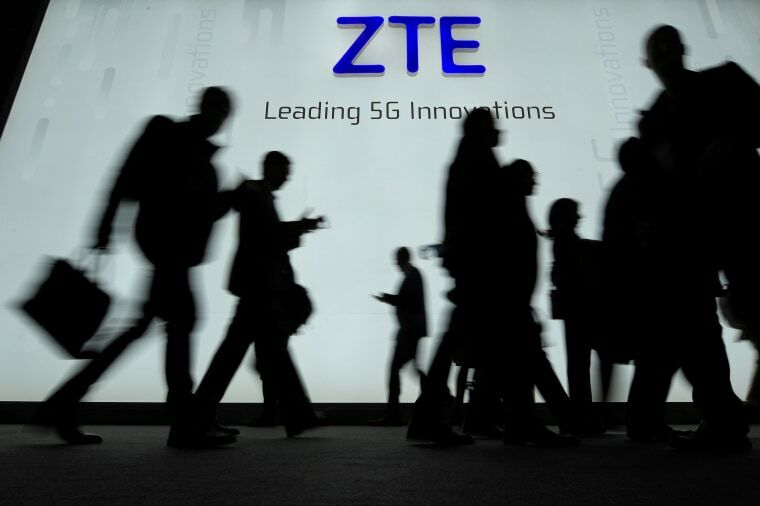 “ZTE is a bargaining chip for the larger issue of U.S.-China conflict over trade and industrial policy issues,” said Paul Triolo, head of the geo-technology practice at the Eurasia Group. “What it does offer is a short-term diffusion of tensions,” he said. Although it is probably unfamiliar to most American consumers, the Zhongxing Telecommunications Equipment Corporation, known as ZTE, is a big player in the global telecom industry. As the fourth-largest player in the American smartphone market, it employs more than 70,000 people. To make its phones as well as cellular network equipment, the company uses components from American companies, including chips from Intel and Qualcomm, and Alphabet’s Android operating system. ZTE ran afoul of the U.S. Treasury and Commerce Departments when it sold hardware incorporating American technology to Iran and North Korea in violation of U.S. sanctions against those countries. In March, ZTE agreed to pay $1.2 billion, but when Commerce Department officials discovered a month later that it had rewarded rather than punished the company officials responsible for the violations, it implemented a “denial order” prohibiting U.S. companies from selling their goods to ZTE for seven years. The denial order effectively crippled the company, which said last week it was shutting down most of its operations. Trade experts characterized ZTE as a pawn in a larger and more high-stakes bout of U.S.-China brinksmanship, as both sides brandished the threat of tariffs that could culminate in an economically damaging trade war. “I see President Trump signaling to President Xi and the other negotiators that he’s… willing to give this company life support, but he’s going to want things he’s been negotiating for,” said Rob Atkinson, president of the Information Technology & Innovation Foundation. “Putting a tech vendor out of business, not for competitive reasons, but for political reasons, is probably overkill." Those concessions could include anything from dropping proposed tariffs on American agricultural exports to rolling back requirements that companies form joint ventures and turn over intellectual property in exchange for access to the Chinese market. In a tweet on Monday afternoon, Trump signaled that his focus on ZTE was a part of broader trade negotiations. While the motives of the Trump administration and its goals can be inconsistent and even contradictory, the pervasive assumption is that this is less a newfound concern about Chinese workers and more of a negotiating tactic. That comes, in part, from the belief that the latest punishment meted out to ZTE didn’t fit the crime in the first place. “Putting a tech vendor out of business, not for competitive reasons, but for political reasons, is probably overkill,” said Andrew Bartels, vice president and principal analyst at Forrester Research. “The whole tech industry has been founded upon complex supply chains that involve getting components and parts from various places around the world, so things that disrupt that… for political reasons — that’s a disturbing signal,” he said. Telecom industry experts also pointed out that carrying out the ZTE export ban ultimately would hurt the American technology companies prohibited from selling to it, as well. “An export ban on ZTE products and technology would create significant disruption for U.S. wireless carriers. Moreover, the move would have a cascading effect throughout the supply chain and adversely impact U.S. companies such as Qualcomm and Google,” said Brent Iadarola, vice president of mobile and wireless communications at Frost & Sullivan. Gary Hufbauer, a nonresident senior fellow at the Peterson Institute for International Economics, said that if Trump doesn’t ease up, "my guess is we’re talking in the thousands of jobs” in chip-making and other tech sectors. Peter Petri, interim dean at the Brandeis University International Business School, said, “It's good that China and the U.S. are talking, but it's bad that they are doing it in the form of company-level quid pro quo." “That approach tends to give companies close to the Chinese government or to President Trump an unfair advantage over their competitors,” he said.